To support my efforts to produce 30 posts in 30 days for National Blogging Post Month, my friend Laura Kimball has been providing writing prompts for me and my fellow blogger, Harmony Hasbrook. Smell, the sense that triggers the richest, most obscure memories during the most awkward times. Write about a time when a smell triggered a deep or odd memory. What was the smell? What was the memory? And did that recollection cause you to do anything in that present moment. I was completely stymied by this prompt. I had no idea what to write about. I sifted through memories of a variety of smells—ranging from pleasant to repugnant—but nothing moved me to write. Then a faint recollection tugged at me. I do most of the food shopping in my household so I pay attention to the weekly grocery circulars. I know use of the word “circular” immediately dates me, but no one has created an iPhone ap yet that enables you to easily compare prices on specific items at different supermarkets. Old school newsprint still rules in this respect. I get ads for Safeway, QFC and Albertson’s, but I also receive one from a place called Saar’s Market Place, which appears to have rock bottom prices, especially on produce. I see their ad and always wonder, how can they sell oranges for only 29 cents a pound? In this comatose economy, every dollar counts so I decided to visit the Saar’s Market Place closest to my home. This took me to Burien, a small, non-descript city southwest of Seattle. I immediately knew that I was not going to have a typical supermarket experience when I saw the grocery cart corral at Saar’s. There were only about 20 beat-up, rusted carts with suspect wheels available. 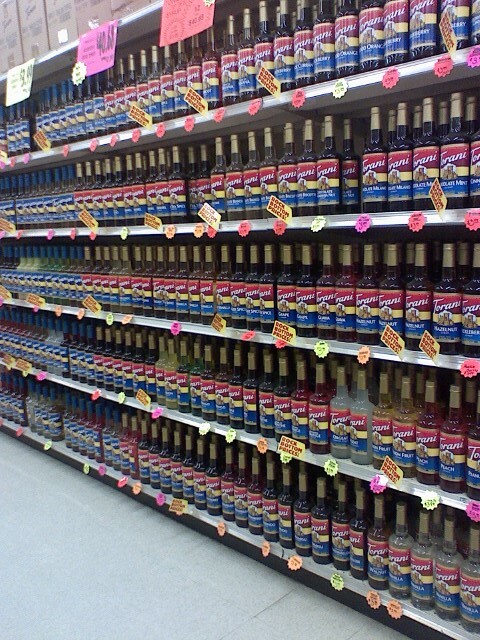 I entered the store and was struck by two things: it was bright, and it was almost empty. It was a Monday night, which isn’t a super busy night for grocery shopping, but I know if I had been at the nearby Safeway, there would have been easily five times the number of people. The people that I did see appeared to be mainly Latino and Asian. There were fewer than 10 white people in the entire store, and 3 were employees. 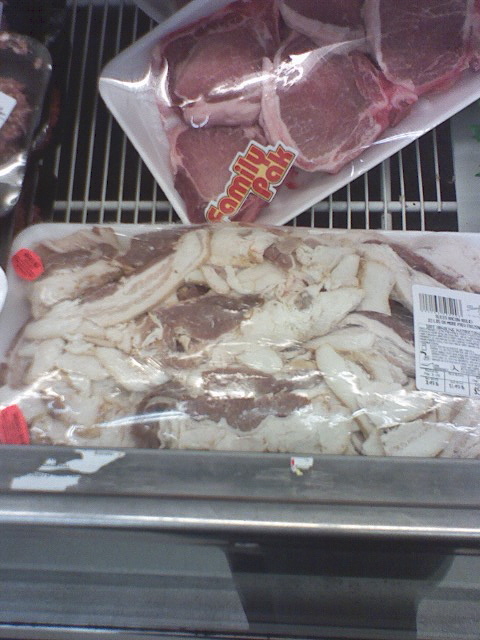 I knew for sure that Saar’s is an ethnic supermarket when I saw these kinds of items in the meat department. 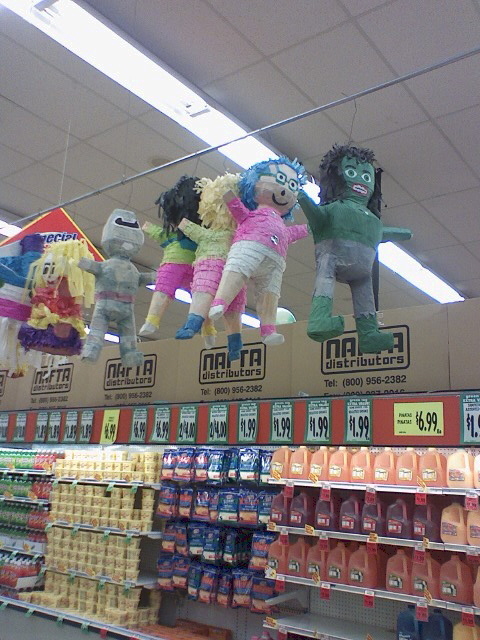 The piñatas were also a dead giveaway. 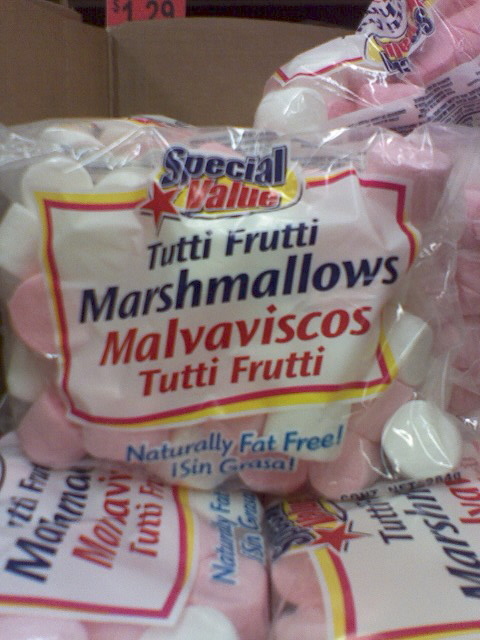 I learned the Spanish word for “marshmallows” that night. 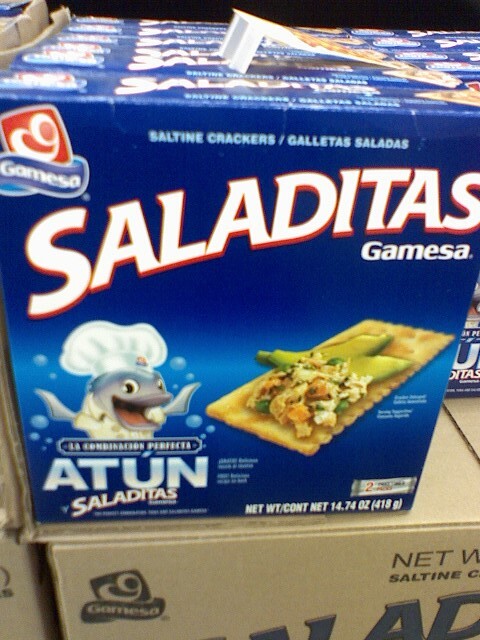 Señor Tuna just can't wait for you to put his tasty flesh on a saltine cracker! That's a lot of bacon! 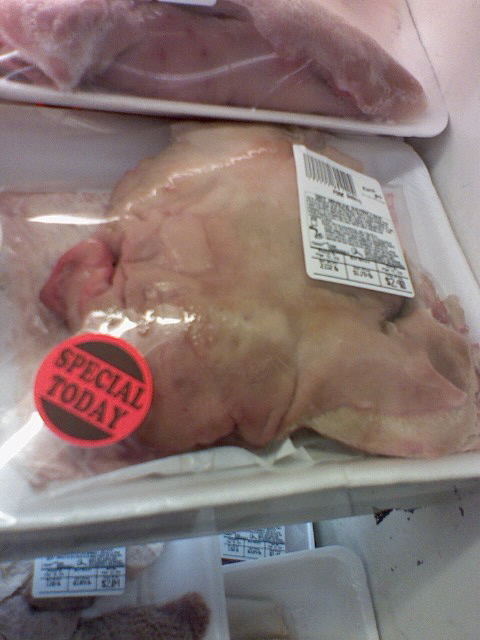 Saar’s had the typical grocery store offerings, but there was also an odd mishmash of other items. 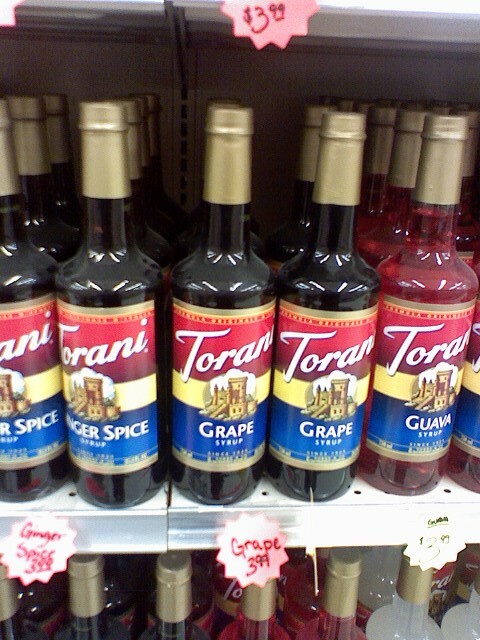 Why so many Torani flavored syrups? BTW who knew there was a guava syrup? (Bottle on the far right.) That would be good over vanilla ice cream. 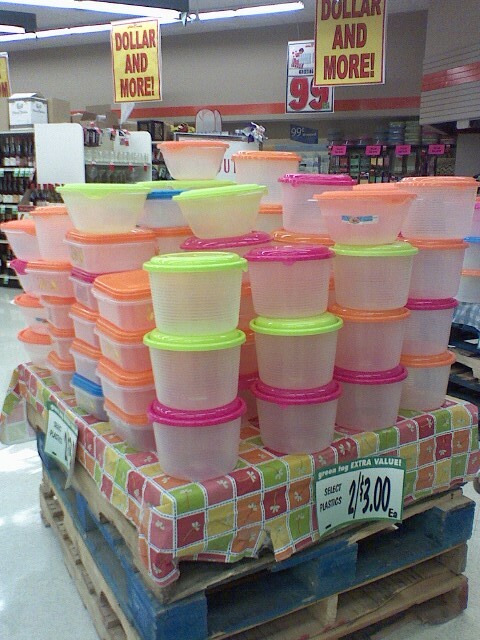 Fluorescent-topped plastic storage containers were 2 for $3. 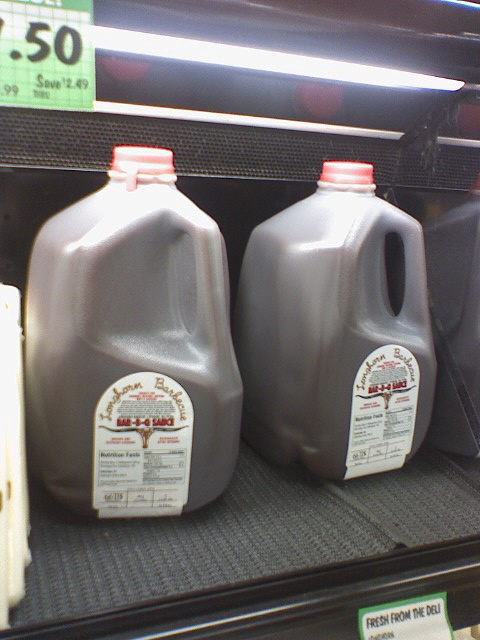 And you could buy barbecue sauce by the gallon. The birthdays of my youth were celebrated with huge parties. My parents would invite entire families, not just kids. The house would be packed with people, and our dining room table would groan from the weight of the many dishes my mom and dad prepared and other food that guests would bring. The Filipino classics would all be there–mounds of lumpia (like an egg roll but better), platters of pancit (a stir-fried noodle dish), an enormous bowl of kare kare (a peanut stew with vegetables and oxtail) and so much more. The centerpiece of the table would be a huge sheet cake. And in addition to the cake, there would be many other sweets because nobody could wait until the candles were blown out and the cake was cut to have to dessert. So you would eat dessert twice (if not multiple times). The parties would last for at least three or four hours. Guests would take home paper plates laden with leftovers and covered with aluminum foil crimped around the edges. There was always too much food. Everything changed when Showbiz Pizza (an early rival of Chuck E. Cheese) came to hometown in the early 1980s. I had never seen anything like it. There were video games, rides and a wonderful thing called skee-ball (which to this day I am addicted). I don’t remember if I asked my mom to celebrate my 9th birthday there, or if it was her idea. In any case, gone was the Filipino family party and in was pepperoni and Whac-a-Mole. Only pizza, pop and cake were served. I have no memory of the pizza, but I clearly recall the birthday cake. It was a 9-inch round, chocolate cake with white whipped cream frosting. I never had had whipped cream frosting before, and I thought I would die with happiness after tasting it. Many people have blogged about childhood trauma and nightmares caused by the Rock-afire Explosion, but I have nothing but fond memories of costumed robots belting out the best hits from the ’70s and ’80s. So I was delighted to discover that they are back and now singing to the tunes of Shakira, the White Stripes and other current acts. Get the details about their YouTube comeback here. This time last year, my husband and I were relaxing on the Hawaiian island of Maui, savoring fresh seafood, tropical fruit and the magical menu at Da Kitchen. For our 2008 summer vacation, we decided to drive from Seattle to visit our friends Sarah and Damon in Salt Lake City. You may be wondering what could possess us to take a road trip while gas prices are at an all-time high. And why did we decide to go to Utah during the absolute hottest point of the summer? And were we insane to do take our infant son with us? Sarah and Damon had moved to Utah last summer, and we missed them. Sarah had been back to visit, but Damon had yet to meet our newborn son. We were curious about Utah. My husband had been there many years ago for a short stay, but I had never been to the Beehive State. Basically what I knew about Utah was that a lot of Mormons lived there, the Sundance Film Festival was held in Park City, the skiing there was reportedly amazing, Salt Lake City’s NBA team was the Jazz, and the 2002 Winter Olympics were hosted there. As to the timing, we wanted to celebrate my husband’s birthday with Sarah and Damon. He was born in July. The average temperature in Salt Lake City in July is 89 degrees. Seattle’s average high in July is 75 degrees. So why not take a short 1 1/2 hour flight there? Why drive? My husband and I were driven to take a road trip by a romantic food notion. We wanted homemade chicken fried steak, real pie made fresh daily and roadside produce stands. We wanted food that was real and earthy–food that was made by cooks, not chefs or grown by farmers we could meet. We dreamed of finding truck stops and small town restaurants with delicious food that couldn’t be found in the city. I’m sure these places exist, but we didn’t encounter them. The landscape was dominated by familiar golden arches, burger royalty, chicken colonels, pizza joints and Flying J gas stations and convenience stores. My disappointment was that much more acute because of the level of risk I felt this road trip involved. To get to Utah, we drove through Eastern Washington, Eastern Oregon and Idaho. This part of America is overwhelmingly White, rural and remote. Not exactly the safest place for an Asian American family to be traveling through. I know it’s incredibly unfair to believe that most rural White Americans are racist and that rural areas are more violent, but I do. Most of my negative ideas about rural America come from mass media, but unfortunately, there plenty of real life examples that support my fears. For example, in the 1930’s many Filipinos living in the central part of Washington state had repeatedly been threatened with lynching by their White neighbors. Sure that was 80 years ago. But as we drove through this area, I wondered if the descendents of those violent Whites were still living in Washington and if they had inherited their forefathers’ bigotry. I was relieved when we encountered other people of color at rest stops. And I never thought I would be so happy to reach Boise, Idaho. I thought that if something happened to us in a city, our bodies should be discovered. Out in the middle of nowhere, we could just disappear. 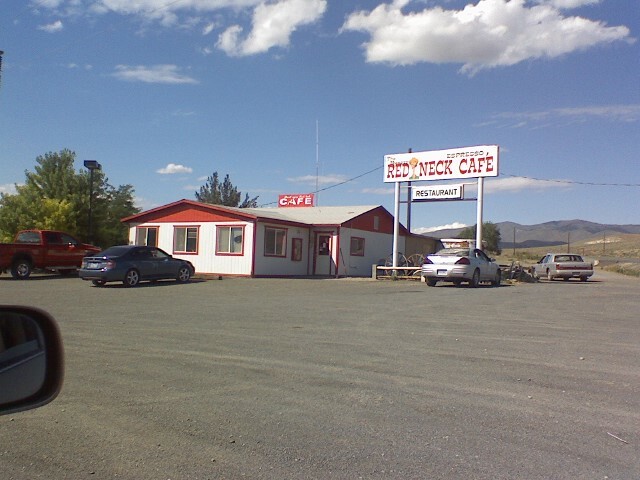 Returning to the topic of our quest for good roadside food, my husband and I encountered the Redneck Cafe (pictured above) in Durkee, Oregon (population 195). We were intrigued by it and drove up to get a closer look, but we never got out of the car. We discovered we would only go so far to find good food. 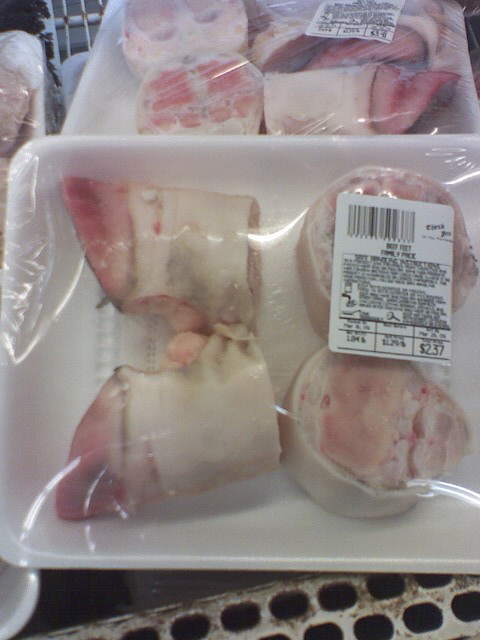 This is the question “side dish” raised on Chowhound’s Pacific Northwest board in 2002. The post itself wasn’t very illuminating. The writer claimed that there’s a dearth of Filipino restaurants in Seattle because “Filipinos are the ultimate US wannabees” who are “more likely to open a Jewish deli or burger stand than a Filipino restaurant.” However, over the years, the post has gained an interesting array of comments. Many posters agreed with the writer that Filipino food, especially the smell of it, is embarrassing. A number of people said embarrassment stemmed from the degradation of Filipino culture that came from colonization. Some claimed that Filipinos have no business sense, and that’s why there are no successful Filipino restaurants. 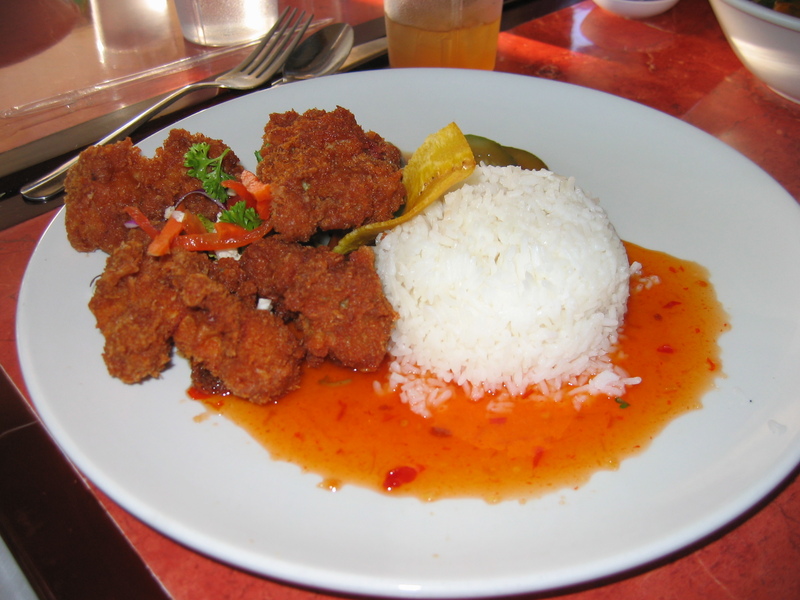 Others simply said that Filipino food doesn’t appeal to the American palate. The argument that most resonated with me is that Filipinos’ relationship with food is intensely personal. Every Filipino’s recipe for chicken adobo is different and delicious. But most Filipinos only want to eat their adobo, cooked their way. 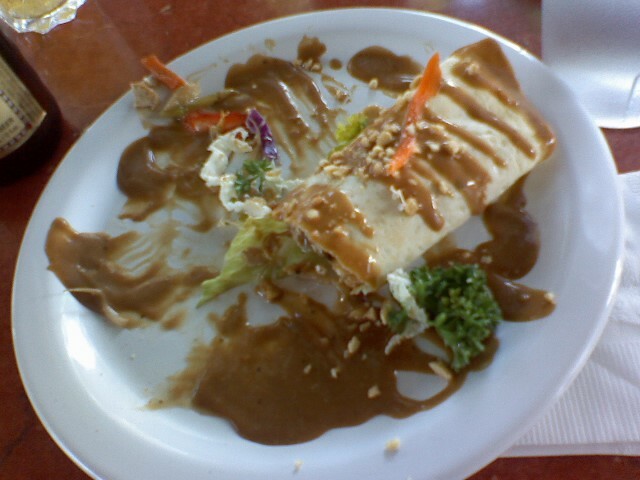 The idea of being embarrassed to eat Filipino food in public totally mystifies me. I’m a second-generation Filipino American, and I feel that this is mostly something first-generation Filipino immigrants experience. The way you feel about yourself manifests itself in your relationship to food. People who are embarrassed by what they eat are embarrassed about some aspect of themselves. I’ve been lucky enough not to have to endure too much ill treatment because of my ethnicity. I know other Filipinos have been taunted about their culture. If people keep taunting you about what you eat, it can be hard to enjoy your food much less feel proud of it. So are there any good Filipino restaurants in Seattle? 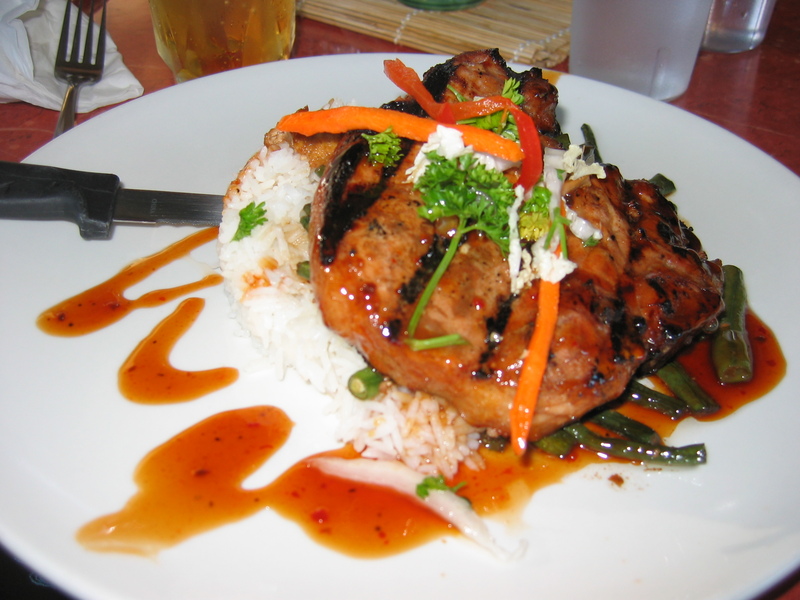 I ran across the Chowhound thread when I was researching Kawali Grill, a Filipino restaurant in South Seattle. I went there with my Chinese American husband and a big group of friends who are all Fil-Am. We ordered a gang of dishes, planning to share everything. So we were disappointed when our food arrived and the portions were small. It was weird that you couldn’t share the entrees because Filipinos eat family style. I ordered the fish escabeche, which is typically a whole fish fillet covered with a sauce made from onion, garlic, ginger, bell peppers, tomatoes, vinegar and lemon or lime juice. Some people like to make their sauce like bad Chinese restaurant sweet and sour sauce and put pineapples in it. I am not one of those people. But whoever prepared my fish escabeche at Kawali Grill was! The sauce was not entirely unpleasant, but far too thick and goopy for me. I scraped most of it. The fish was perfectly cooked and tasted great with minimal sauce. I did get a couple of bites of other dishes including: fresh lumpia, pandan fried chicken and pork inihaw. Hands down, the best dish was the pork inihaw (broiled pork marinated in vinegar, soy sauce, sugar, garlic and hot sauce). 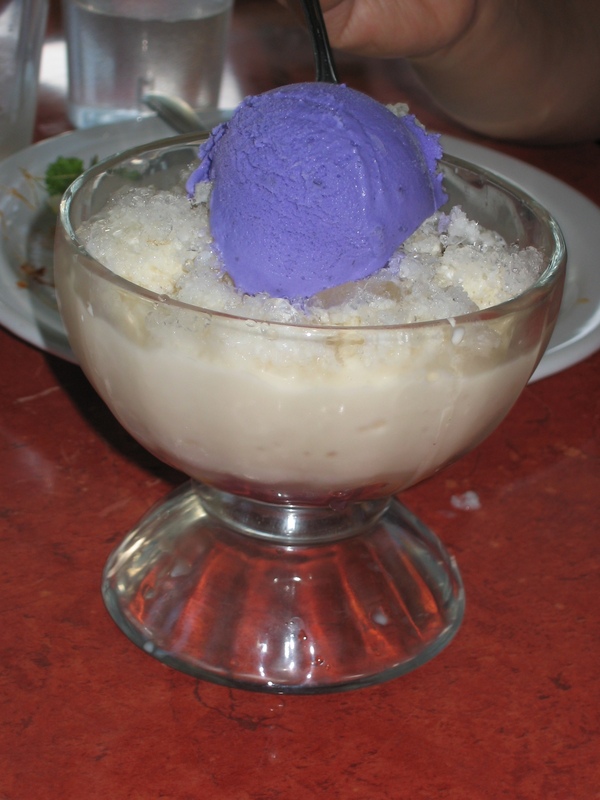 I felt like there was too much ice in my halo halo dessert, which made it hard to mix (the whole point!) but that’s a minor quibble. The ube ice cream in the halo halo more than made up for it. I want to try more of the dinner menu at Kawali Grill, and I definitely want to go there for breakfast. The restaurant serves a couple varities of Filipino silog breakfasts, which usally involves a fried egg on top of garlic fried rice and a side of meat. I feel no shame in wanting that. I know nil about Polish food. So I was both excited and a little nervous to join my friend Lynn (whose ethnic background is Polish) at an all you can eat pierogi fest at Seattle’s Polish Home. Pierogi are half-moon dumplings that are boiled and then sauteed in a pan with butter and onion. They contain sweet or savory fillings and are commonly eaten with a healthy dollop of sour cream. The first pierogi I sampled were farmer’s cheese with potato and a variety simply labelled “MEAT.” I was unfamiliar with farmer’s cheese, which is made by pressing most of the moisture out of cottage cheese. It reminded me of ricotta, and when combined with mashed potato inside a pierogi, it was absolutely light and delicious. 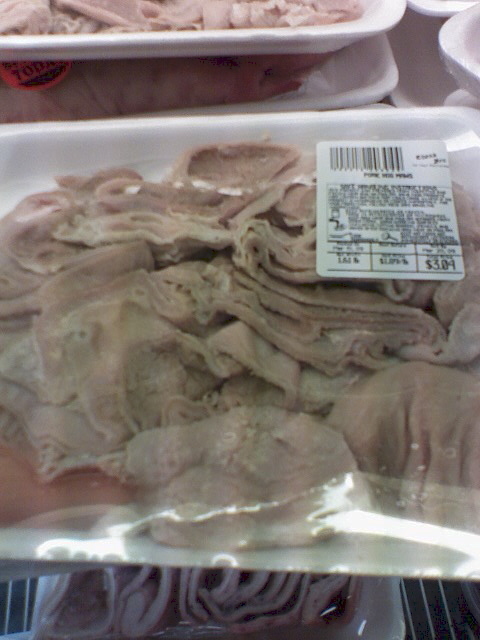 I asked Lynn if she knew what kind of meat was in the MEAT pierogi. She had no idea but thought that maybe it was a combination of chicken and beef. When I cut one open and peered inside, the filling resembled canned tuna fish more than anything else. It looked flaky and stringy. Since I grew up in a household where potted meat is a major food group, I had no qualms about sampling the pierogi. However, eating the MEAT didn’t give me any other clues about what I was actually consuming. I would not be having seconds. The next pierogi I tried were ones with sauerkraut and mushroom filling. I’m usally not a sauerkraut fan, but I loved this combination. I thought the kraut would have a strong vinegar taste, but it was sweet and mild. I waited in the very long pierogi line twice, and each time they were completely out of the sweet pierogi. There were two flavors, blueberry and plum. The blueberry pierogi were especially popular. One little boy patiently stood in front of the empty blueberry pan for close to half an hour, waiting for a fresh batch. My friend Roxanne finally snagged me one, and it was worth the wait. I pierced it and watched the warm blueberry filing mingle with the dollop of sweet sour cream I had put on top of the pierogi. Yum. It was refreshing to sample a food without any preconceptions about it. 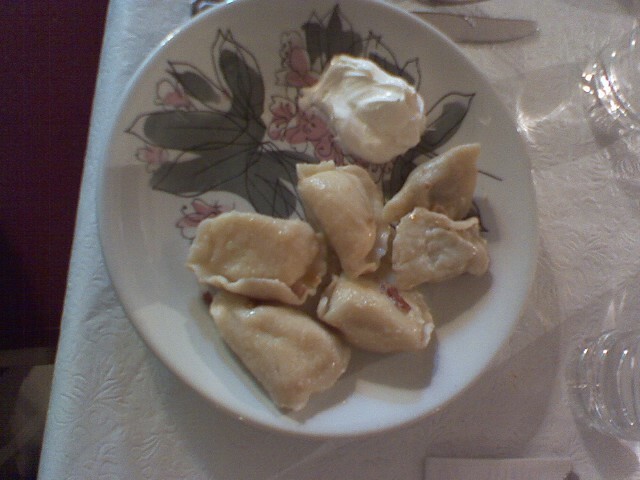 And I was lucky that the first pierogi I ever tried were fresh and handmade by home cooks. I’m Filipino American and used to being quizzed about my food and culture. This time I got to do the asking. Lynn and I talked about the origin of “Polock” jokes, Hitler’s extermination of Polish Jews and Catholics, how to make pierogi dough and much more. I enjoyed being exposed to Polish people and culture in such a unique food setting. I could definitely go back for more.